An Asiana Airlines passenger jet skidded after landing at Japan's Hiroshima Airport Tuesday, local media reported. Local television pictures showed the Airbus A320 resting on the runway with no sign of its landing gear. Flight OZ162 had arrived from the airline's home base in Seoul, Korea. The city's fire department said a 46-year-old woman was being treated for head injuries, a 29-year-old woman had a bruised hip and a third non-Japanese passenger was also injured, Asahi Shimbun reported. Japanese broadcaster NHK said 20 of the 74 passengers on board were injured. Sparks were seen coming from the aircraft as it skidded on the runway surface, airport workers told the local fire department according to NHK. Kyodo News said the remaining passengers had been taken from the plane to the airport terminal. NBC News could not immediately confirm the reports. On July 2013 an Asiana Boeing 777 crashed short of the runway as it attempted to land at San Francisco International Airport, killing three people. 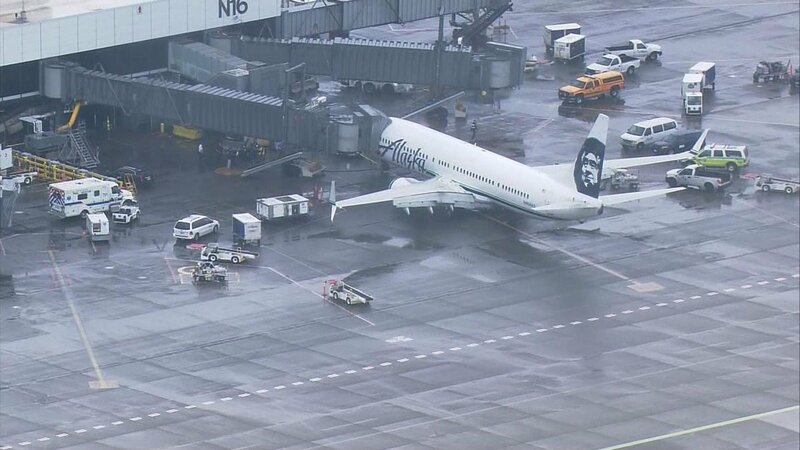 An Alaska Airlines flight bound for Los Angeles returned to Seattle Monday after a ramp agent was found in the cargo hold. A pilot on flight 448 "reported hearing banging from beneath the aircraft" just after takeoff, according to an Alaska Airlines press release. The pilot declared an emergency landing and immediately returned to Sea-Tac Airport, and the employee inside the cargo hold was found to be in good health. He was transported to a hospital as a precaution, the airline reported. The plane was in the air for a total of 14 minutes, and the cargo hold was pressurized and temperature controlled. It wasn't immediately clear how or why the man got into the cargo hold, though some news outlets are reporting that he got trapped before takeoff. Alaska Airlines is investigating the incident. Nobody was hurt when a United Airlines Boeing 737 carrying 173 rolled into grass and got its landing gear stuck in the mud. HOUSTON (AP) - Nobody has been hurt when a United Airlines jet carrying 173 people slipped off the taxiway after landing in Houston during rainy weather. A United statement says Flight 1545 originated in Las Vegas and rolled into the grass after landing Monday morning at George Bush Intercontinental Airport. Airport spokesman Bill Begley says the plane landed normally but made a wide turn on the taxiway and the jet went into some muddy grass. The landing gear of the Boeing 737 appeared mired in the mud. United says the jet carried 167 passengers and a six-person crew. The carrier did not immediately provide additional details on what led to the incident. Begley says crews would work to get the jet back onto the pavement. The twin-engine Piper Cheyenne was about two miles from landing at Fort Lauderdale Executive Airport when the pilot made a distress call, reporting smoke in the cockpit on Sunday afternoon. "He was given clearance to land, any runway he chose, because he did make a distress call," said Ralph Hicks, senior accident investigator for the National Transportation Safety Board. The pilot attempted to land on a runway aiming to the southeast, but the turboprop never made it. It dove toward the ground, crashed and burst into flames in a wooded area about a quarter of a mile northwest of the runway. All four on board were killed. The aircraft fragmented into more than 100 pieces, Hicks said. On Monday, federal investigators began sifting through the charred wreckage of the 36-year-old plane, trying to determine why it crashed. It was the deadliest plane crash in South Florida since November 2013, when an air ambulance Learjet flight crashed in the Atlantic after takeoff from Fort Lauderdale-Hollywood International Airport, killing all four on board. The victims in the most recent accident have yet to be identified and the purpose of the flight was not immediately known. The pilot was rated to fly in multi-engine aircraft and on instruments, Hicks said. The Piper Cheyenne, a popular corporate aircraft that seats six to eight passengers, was registered to Aircraft Guaranty Corp Trustee, a Texas firm. According to FlightAware, a website that graphically displays flight paths, the plane took off from Orlando Executive Airport at about 3:20 p.m. on Sunday. It crashed in a nature preserve northwest of Fort Lauderdale Executive Airport at about 4:30 p.m. Fort Lauderdale Fire Rescue responded within minutes but was unable to save any of the occupants. No one on the ground was injured. Witnesses said they saw the plane bank sharply as it was approaching the airport and then dive toward the ground. "I heard a big boom and I felt the building shake and I looked through the window and saw smoke and said to myself, 'I hope it's not a plane that crashed there,'" said Jean Menzion Deshommes, who was working in an office building at 2400 W. Cypress Creek Rd. The wreckage was to be transported to Fort Pierce to be scrutinized by the National Transportation Safety Board. The Broward County Medical Examiner is conducting autopsies and toxicology tests on the victims. The National Transportation Safety Board will look into all aspects of the flight, including the aircraft's maintenance history and the pilot's experience. The safety board usually takes more than a year to determine the likely cause of a crash. Fort Lauderdale Executive, a bustling general aviation airport, temporarily closed its diagonal runway after the crash but otherwise remained open. Several planes have crashed on or near the airport in the past decade. In the last one, a Piper Cheyenne crashed shortly after takeoff, coming down in an impound lot east of the runway and killing all three people on board in March 2013. Washington: Scientists have found that customisation of aircraft and runway lights to birds' visual systems can reduce costly bird-aircraft collisions. 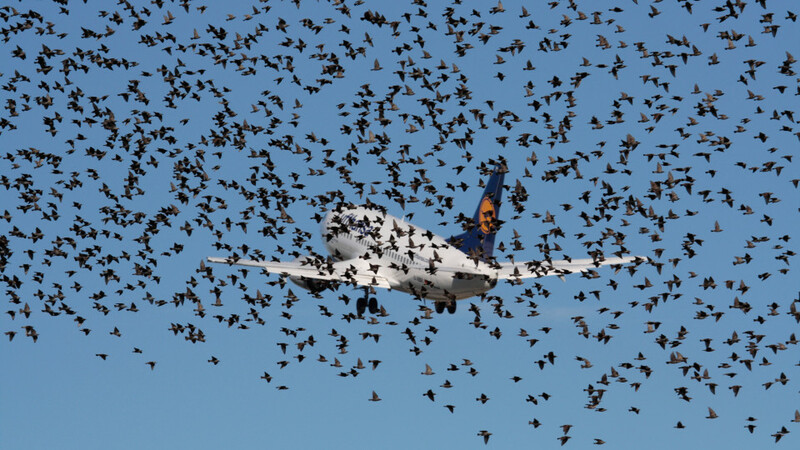 Collision with birds is one of the most common hazards to aircraft, causing USD 700 million in damage annually in the US, scientists said. Megan Doppler and Esteban Fernandez-Juricic of Purdue University and Bradley Blackwell and Travis DeVault of the National Wildlife Research Center's Ohio Field Station have conducted experiments involving captive cowbirds and remote-controlled aircraft to test how the birds reacted to a variety of lights. Birds' eyes are different from human eyes in several key ways, and Doppler and her colleagues determined that blue light would be most conspicuous to the Brown-headed Cowbirds (Molothrus ater) used in their study. Outfitting a remote-controlled model airplane with lights in this colour, they tested how the captive flock reacted to continuous versus pulsing lights and to a stationary versus approaching aircraft. When the aircraft was stationary, cowbirds became alert more quickly when the lights were on than when they were off. When the aircraft approached the birds with lights off, their response times slowed as the aircraft's speed increased, but lights helped mitigate this effect. "In previous studies, we have demonstrated that avian response to vehicle approach can be enhanced by increasing the conspicuousness of the approaching vehicle with white lights," said Fernandez-Juricic. "However, in this study, we followed a sensory ecology approach to establish a-priori a light that would be particularly conspicuous to our study species and tested the responses of individuals to this light tuned to their eyes. "In addition, we showed that by pulsing the light, we reduced the effects of high speeds on the ability of the animals to become alert to the approaching aircraft. These findings hold implications for how we might enhance bird response to larger, faster aircraft," said Fernandez-Juricic. The researchers have several suggestions for applying their findings to real-world situations. Stationary lights along runways could by synced with taxiing aircraft to help capture birds' attention before aircraft take off. Lights onboard the aircraft could be off during taxiing but on during takeoff itself to improve birds' ability to detect and react to such large, fast-moving objects. With some tweaking, similar approaches may even be applicable to reducing bird strikes with large stationary structures such as towers and wind turbines, researchers said. The study was published in The Condor: Ornithological Applications journal. BANGKOK, 14 April 2015 (NNT) - The Ministry of Transport has revealed that the Chinese Civil Aviation Administration will be visiting Thailand to inspect the Kingdom's aviation safety standards. Deputy Transport Minister Arkhom Termpittayapaisith said the Civil Aviation Administration of China will be traveling to Thailand in the beginning of May to inspect the Kingdom's safety policies. He said that he was confident that the country would fare well in the inspection. The Deputy Transport Minister spoke of the progress made by the Kingdom to update the country's aviation policies, after a recent safety audit by the International Civil Aviation Organization (ICAO) reported Significant Safety Concerns (SSC) with the Thai Department of Civil Aviation (DCA). The report has triggered restrictions on Thai-registered airlines by many ICAO member countries. All Thai airlines have been instructed to vigorously address outstanding SSCs. Mr. Arkhom revealed that the DCA will periodically submit a progress report to the ICAO up until the country's deadline of June 2. He admitted that it is unlikely Thailand would be able to fix all its issues in time. However, submitting progress reports would demonstrate the country's commitment to improving its safety standards. Abuja - The Nigerian Airspace Management Agency (NAMA) has collaborated with the Agency for Aerial Navigation Safety in Africa and Madagascar (ASECNA) to commence harmonization and standardization of infrastructure between both agencies. According to the Managing Director of NAMA, Engineer Ibrahim Abdulsalam, the project is part of the larger agreement reached with ASECNA on a working partnership that would make for seamless and interoperable systems across the region. "One can rest be assured that the safety of the African sky is our primary consideration," said Abdulsalam. CAJ News established that a team of engineers from ASECNA are now in the country for the purpose of setting up coordination links between Lagos-Lome, Lagos-Malabo and Kano-Lome. Lome and Mlabo are in Togo and Equatorial Guinea respectively. The development follow a recent visit of the ASECNA team to Nigeria and agreements reached with the ASECNA technical staffs that were drawn from the agency's headquarters in Senegal and Togo. The team is expected to work closely with NAMA officials to effect the installation of base band equipment and satellite modems, including configurations and tests between Lagos and Kano, which would bring about a successful integration and coordination between Nigeria and its Francophone neighbours. MADRID, Spain - Gathering for their 70th Annual Conference, representatives of over 100,000 airline pilots from around the world have expressed their great concern about the accident investigation into Germanwings flight 4U9525 so far. Pilots are dedicated to safety every single day. The only way flying will remain the safest way to travel is to strictly adhere to internationally agreed standards. Effective recommendations to prevent similar tragedies can only be obtained from a final accident report, not from piecemeal evidence released or leaked during the process of investigation. The drafting of such recommendations can only result from a combined effort by investigators, regulators, the aviation industry and the community of pilots. IFALPA urges the French Authorities to fully adhere to the provisions of ICAO Annex 13. We, The world's professional pilots are united in our sadness about the tragedy of Germanwings flight 4U9525. The alleged fate of this flight, as outlined by the French prosecutors, is beyond our comprehension, and would constitute an extremely isolated case. Every day, we accept the trust placed in us by our passengers. As pilots, we have flown and will continue to fly them safely, efficiently and comfortably to their destination - every single flight, every single day. Any accident investigation has to be performed according to internationally agreed principles as laid out in ICAO Annex 13. So far, this investigation has not met these standards. Leaks of protected information, media pressure, and political considerations all damage the hard won environment in which the aviation industry has agreed to cooperate in analyzing accidents and developing solutions. The latter is the very basis that makes flying the safest way of travel. Only the final outcome of the investigation will allow firm conclusions to be drawn and to identify adequate solutions. The process of drafting such solutions has to be done in a combined effort by regulators, the aviation industry and the community of pilots. This is a prerequisite to ensure that our passengers can continue to trust in the highest level of safety in air travel. Paris has been hit with a spate of anonymously-piloted drones flying over key landmarks, government buildings and even a nuclear power station. It's not been clear if it's a group of amateurs with bad timing or something more coordinated, which has spooked the locals and law enforcement alike. 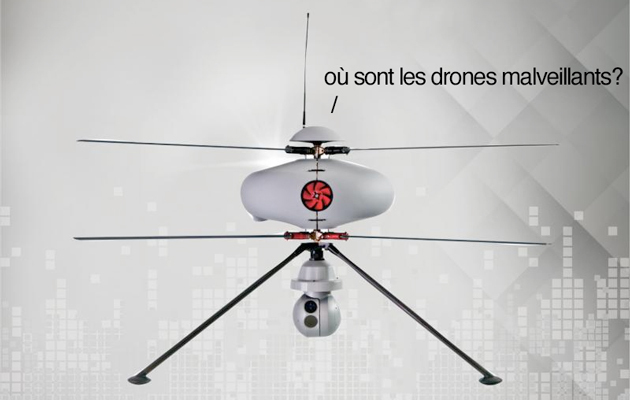 Thankfully, French firm ECA has been quick to respond to the potential threat, building an anti-drone drone that can hunt down drones and identify their pilots. Once a rogue drone has been spotted in the skies, the customized EC180 will chase it down and triangulate the position of its pilot. The craft will then find the shadowy human, take their mugshot and alert nearby police as to their location in the hope of catching them in the act. Unfortunately, and for perfectly understandable reasons, ECA won't expand on how its gear can achieve this feat of airborne counter-espionage. The company's certainly piling on the hype, saying that its new technology "makes it impossible for malicious operators to disappear." Apparently, it's also been tested twice by French authorities who were "fully satisfied" that the unit could find and locate pilots within a radius of 700 meters in less than a minute. Manufacturing defects led to fuel leaks in 43 Beechcraft Baron twins produced in 2012 and 2013, and the FAA has proposed a $430,000 civil penalty, giving Textron Aviation subsidiary Beechcraft Corp. 30 days to respond. The FAA announced the decision April 9. An agency spokesperson provided a copy of the letter detailing the alleged violations, but declined to provide additional information. "I can tell you that we will be communicating with the FAA regarding this, but do not have any comment to provide at this point," said Textron Aviation spokesperson Lindsay Adrian in an email seeking comment from the company. The March 23 letter from the FAA to Beechcraft Vice President of Quality Assurance Matthew Chaffin includes no mention that the fuel leaks led to any accident, emergency, or other incident. The FAA noted that federal law provides for fines up to $25,000 for each violation, which would equate to a maximum penalty of just over $1 million for the 43 defective fuel tank installations found by the FAA investigation of field condition reports that first documented the leaks. "After reviewing our investigative file, we would be willing to accept $430,000 in settlement of this matter," the FAA regional counsel wrote. The proposed fine is not the largest civil penalty sought by the FAA against a general aviation manufacturer in recent years. In 2011, the FAA proposed a $2.4 million fine against Cessna Aircraft Co. (also a Textron subsidiary) after an FAA production test pilot had to make an emergency landing in a Corvalis when about seven feet of wing skin separated from the forward spar in flight. That problem was also attributed to a manufacturing defect. According to General Aviation Manufacturers Association data, Beechcraft delivered 59 Barons in 2012 and 2013, 16 more than the 43 aircraft cited in the FAA letter. It is unclear if those 16 aircraft were not affected by the fuel leak, if all 16 were sold in December 2013 (the FAA states in the letter that the defective fuel tank installations affected aircraft delivered between January 2012 and November 2013), if they were delivered and certified as airworthy in a foreign country, or if there is another explanation for the discrepancy. The fuel leaks resulted from improper installation of fuel bladders, and the FAA cited Beechcraft for failing to maintain the quality control required by its production certificate. India agreed to acquire 36 Rafale jets from Dassault Aviation in a deal announced during Prime Minister Narendra Modi's visit to Paris. PARIS-India has agreed to acquire 36 Rafale fighter jets from Dassault Aviation SA, marking another victory in France's push to compete with American-made combat planes. The deal, announced during Indian Prime Minister Narendra Modi's first visit to Paris on Friday, aims to wrap up more than three years of protracted negotiations between India's government and Dassault Aviation. French officials said both sides were still negotiating the final details of the acquisition, including the final price. Mr. Modi told reporters he had asked for the jet fighters to be "ready to fly in the near future." The contract with India is the biggest ever for the Rafale jet-a workhorse of the French air force that until recently has struggled to draw interest from foreign militaries. A breakthrough came in February when Egypt became the first foreign buyer with an order of 24 jets for about €5 billion. The U.S., France and other Western countries have been wooing India for military contracts. India is fast becoming one of the world's largest arms importers as part of a push to expand its military capabilities and wean itself off Russian equipment dating back to the Soviet era. India's selection of Dassault Aviation to supply its air force in January 2012 was a major coup for the French manufacturer, beating out offerings from Eurofighter, Russia's RAC MiG, Boeing Co., Lockheed Martin Corp. and Saab AB. 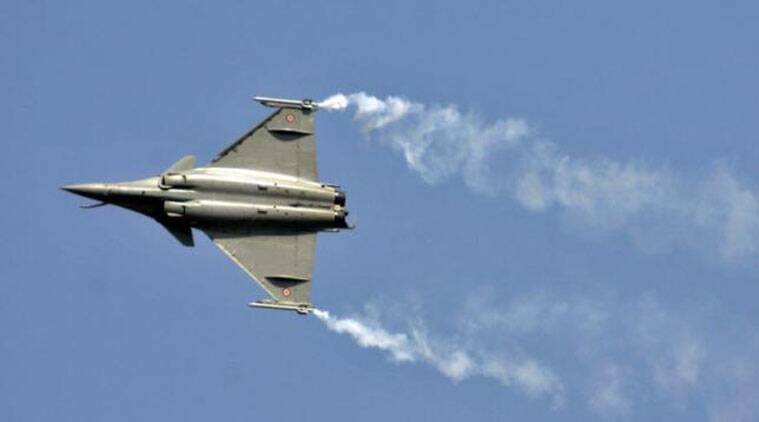 Dassault Aviation and the Indian government previously reached a preliminary deal for 126 Rafale planes, in which 18 jets would be built in France with the remainder assembled in India by state-run Hindustan Aeronautics Ltd. In the years that followed, however, Dassault Aviation became ensnared in haggling with two successive Indian governments over the cost to build the planes. The firm also refused to guarantee the performance and quality of the planes assembled by Hindustan Aeronautics. Dassault Aviation Chairman and CEO Eric Trappier said Friday's deal "gives a new impetus to our partnership for the next decades." Amber Dubey, head of aerospace and defense at KPMG in India, described Friday's accord as a "great relief and morale booster for the French government" and Dassault. But he warned that Mr. Modi is likely to press Paris to support his drive, known as "Make in India," to locate more manufacturing in the country as part of any future deals. A French official said the two sides would continue to discuss the possibility of technology transfers-a move that would allow India to assemble the Rafale at home if New Delhi acquires more jets. The Indian Air Force had been urging the government to move quickly in closing the deal. Its fleet is saddled with an aging aircraft as India grapples with an increasingly assertive China as well as longtime rival Pakistan. India is due to begin retiring many of its MiG-21 and MiG-25 jets this year. That process will continue through 2024, increasing the urgency to add new planes. India's plans to build light combat aircraft on its own, meanwhile, has yet to get off the ground. Air Chief Marshal Arup Raha, head of the Indian Air Force, recently said the Rafale jets are needed as quickly as possible, adding that the delivery of the first Rafale jet would take three years once a deal is signed. BEAUFORT, S.C. -The Blue Angels made history this past weekend when they took to the skies in South Carolina. For the first time in the 69-year-history of the Navy's elite fliers, there was a female pilot performing in the skies. Capt. Katie Higgins pilots the C-130, nicknamed "Fat Albert." She is a third-generation aviator and was named to the team last year. Higgins is based out of Annapolis, Maryland. Spectators enjoyed the experience. Jermole Duncan said, "Watching a female pilot flying, it was nice." "That was awesome to see them be able to come in and do some of the flips and twists and stalls," said Monte Dixon. "It was exciting! It kind of makes your heart pound a little bit. The Blue Angels are not scheduled to perform in New Hampshire this year. They will be in Westover, Massachusetts, in May and in Brunswick, Maine, in September. MADRID, Spain - Captain Martin Chalk of the United Kingdom was elected as IFALPA's 18th President during the final Plenary Session of the Federation's 70th Conference. He succeeds Captain Don Wykoff of the United States. Capt. Chalk, who started his flying career with the Royal Air Force, currently flies A380s for British Airways. He previously served as IFALPA's Deputy President, a role he assumed in 2014, and was also President of the European Cockpit Association from 2005 until 2011. Commenting on his election Capt. Chalk promised the delegates "I will work hard to repay your faith", and called upon on all pilots worldwide: "Unity - we must live and breathe it." Meanwhile, Captain Chris Lynch of the United States was elected as the Federation's Deputy President succeeding Capt. Chalk. Captain Mike Pinho from the United States follows Capt. Lynch as IFALPA's new Executive Vice President (EVP) North America, while Captain Osvaldo Neto of Brazil took over as EVP Caribbean and South America from Captain German Diaz Barriga of Mexico. Canadian Captain Rod Lypchuk was re-elected to the IFALPA Executive Board as Executive Vice President Administration, Membership & Finance, as was Captain Ben Mansumitchai of Thailand as Executive Vice President Asia Pacific. American Airlines, once the largest operator of the venerable McDonnell-Douglas MD-80 series of aircraft, has quietly announced the retirement date of the iconic aircraft: by the end of 2017, according to documents filed to the US Securities and Exchange Commission. "Over the last decade, the 737-800 has replaced the MD-80 as the backbone of the American fleet," American says. Indeed, "in the combined American network, the 737-800 accounts for more domestic ASMs [available seat miles] than the MD-80 and regional fleet combined." Notably, American doesn't seem to have adjusted its plans to retire the MD-80 on account of the recent reductions in the price of fuel. The fleet, once almost 400-strong, will continue to be replaced by the Boeing 737-800, as well as by new Airbus A319 aircraft, which American calls the "MD-80 domestic network replacement for small, medium or high frequency markets". But the aluminium elephant in the boardroom is the availability of the fleet of Airbus A320 aircraft from the former US Airways, and it's there that American has an interesting fleet opportunity. 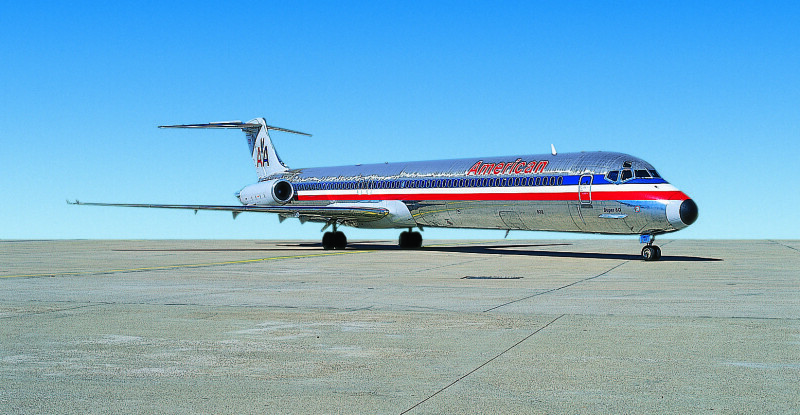 American's MD-80 operation, focussed recently on short-haul operations at its Dallas hub, operates 140-seat aircraft - 16 in first, 124 in economy. That size appears to work well to maximise frequency and turn times on these routes, with the MD-80's popular 18.5-inch wide economy seats and 2-3 layout down back a big plus for flyers (and its loud engines, a negative). The nominal replacement 737-800, meanwhile, has either 10 or 20 extra passengers in economy compared with the MD-80, with newest 737s having the higher capacity. If American maintains its frequencies, it will add capacity to DFW markets that may not support that size, although careful aircraft planning to replace lower demand market MD-80 services with the older 150-seater 737s may prove advantageous. On the other side of the MD-80 in terms of capacity, American's A319 is a 128-seater, although it offers just eight first class seats, half the amount of the MD-80. Dallas hub frequent flyers, and AAdvantage members across the south-central US, are likely to find their upgrade chances curtailed. Ten or 20 too many seats overall, or 12 too few - that's the adjustment American's network planners need to make. The rabbit in the medium-term hat may be US Airways' A320s, which are currently 150-seaters like the 737-800, but with 12 first class seats and no extra-legroom Main Cabin Extra seats. If American were to refit these aircraft with the MCE product, a decision to either maintain twelve first class seats or reduce the number to the A319's eight could right-size the A320 to replace the MD-80 in some markets. A thoughtful reconfiguring of the A320 to allow fine-tuning of premium seating capacity could be the trump card here - especially in the twin contexts of airlines tightening loyalty roles to reduce the number of higher-tier passengers and offering more ways and price points to buy up to first class. With an increasingly strong economy, airlines aren't feeling the same need to reward their frequent flyers that they did five to eight years ago, but the economy is cyclical. The choices American makes now will likely last into the next downturn - so the airline needs to choose wisely.